In most cases, the traditional sources of income and royalty producing types of music use are still the areas that, for many compositions, generate the most income. For example, radio and television performance income, motion picture and television synchronization income, television advertising commercial fees, Broadway and theatrical road performances and, depending on the recording artist, even physical sales of CD or vinyl product. In today’s changing music and entertainment industry, additional sources of income, new types of distribution platforms, new business models and new ways of negotiating music use license agreements are appearing daily. This article summarizes some of the more important areas both in terms of traditional and digital perspectives. This is an area which can be extremely important for well known and unknown songs alike, both in terms of exposure and money. In many cases, both the composition and the master recording are licensed on a one-time fee buy-out basis, without regard to the number of games that are actually sold; many of which sell millions of units. Buy-outs range from $2,500 to over $20,000, with some negotiations resulting in smaller and higher amounts depending upon bargaining power, how the song is used, and the music budget for the game. Short term licenses are many times the norm (5 to 7 years instead of life of copyright which is the norm for a feature film). Music based video games (i.e., Guitar Hero, Rock Band, Karaoke, etc. ), on the other hand, many times provide for additional payments based on per unit royalties or the reaching of sales plateau numbers as well as additional royalty income for songs downloaded into the game. For example, $5,000 to include the song in the game, $5,000 at 300,000 units sold, $5,000 at 500,000 units sold and $4,000 for every 200,000 units sold thereafter or .02 per unit with an advance against a certain number of units. Compositions downloaded into a game are paid on a percentage of the price to the consumer or a penny rate. When a producer wants to use an existing song in a television program, weekly series, special, miniseries, or made-for-TV movie, permission must, with few exceptions, be secured from the music publisher of the song. In this regard, the producer of the show will decide on how the song is to be used (background vocal or instrumental, sung by a character on camera, over the opening or ending credits) and the medium over which the program will be broadcast (free television, pay television, basic cable, pay per view, Internet, mobile phones, airlines, all media, etc.). Since home video has become an important ancillary market for television programming, negotiations will usually take place for that medium as well. Considering that some television programs are also released in movie theatres in foreign countries, the producer may also request such rights and negotiate additional fees for such non-television uses. And since many television programs are eventually broadcast in media other than that on which they were initially aired (e.g., a pay television program being broadcast on free over-the-air stations, on airplanes, on the Internet, or on cell phones), a producer may also request prices for a wide range of additional options. For example, the typical current standard license for one of television’s most successful shows describes how the composition is to be used (background or visual vocal), the rights (free, basic and satellite television and in context trailers), the fees for the original as well as subsequent episodes, the duration required, the term (one year) and option quotes for additional years, home video buyouts, downloads, trailers, websites, audiovisual streaming, foreign countries as well as ringtones and ringbacks. Synchronization fees for known compositions for a worldwide five-year free television license for a major network show range from $1,750 to more than $3,500, with fees varying for pay and cable television use and for other media such as home video and foreign theatrical. All television life of copyright licenses range from $6,000 to over $12,000. All media excluding theatrical life of copyright licenses range from $17,500 to over $25,000. As to newer compositions or less known compositions where the publisher or writer does not have bargaining power, the fees can be lower. For example, fees can be 50% or less in these instances. Having an ad card at the end of an episode announcing the song or artist can also reduce the fee. Individual program music budgets also have an effect on fees that are able to be negotiated. When a motion picture producer wants to use an existing song in a theatrically released film, the producer must negotiate with the music publisher for use of the composition. Once an agreement is reached, the producer will sign a synchronization license, which will give the producer the right to distribute the film to movie theaters, television and the Internet, distribute to home video (including downloads) with no additional royalty payments, and use the song in “in context” television or Internet promos and theatrical previews. The amount of the motion picture synchronization fee depends on a number of factors, including how the song is used, the overall budget for the film and the music budget, the stature of song being used, the actual timing of the song as used in the film, whether there are multiple uses, whether the uses are thematic or over the opening or closing credits, the term of the license, the territory of the license, and whether there is a guarantee that the song will be used on a soundtrack album or released as a single. The synchronization fees charged by music publishers for known compositions for a major film are usually between $15,000 and $60,000. In addition, record companies normally charge between $15,000 and $60,000 for the use of master recordings (i.e., the original hit recording) in a motion picture, but, depending on the stature of the artist, the licensing policy of the record company and the nature of the recording being used, these fees can be greater or less than the range referred to above. Higher fees can be negotiated for multiple, thematic or opening or closing credit uses. For lesser known compositions, fees will usually be lower. The same is true for all compositions if a film is an indie vs. a major. “Step deals” are also very common with many lower budget indie films. Under these type of deals, the original license might be for film festival use (for a small or gratis fee) with additional payments if certain agreed upon “steps” occur (e.g., picking up national or foreign distribution, a sale to a major, achievement of certain box office receipts plateaus, etc.). An extremely valuable source of income is the use of compositions in radio and television commercials for consumer products. The fees paid by advertising agencies and their clients for commercials can be substantial (e.g., from $75,000 to over $1,000,000 per year for successful songs), depending on, among other things, whether it is a radio, television or internet commercial (or combination thereof), a national or limited-territory campaign, whether there are options for other media and delivery systems as well as other countries of the world, if the original lyrics are being changed or new lyrics added, and whether all advertising rather than only product category exclusivity is being requested by the agency. Certain major advertisers may request total exclusivity from a publisher, but the fees for this type of grant are substantial for a recent hit song or well-known standard (from $250,000 to over $1,000,000), because the song is effectively being taken out of the marketplace. If a song is used in a motion picture, the right of a motion picture producer to use clips from the film in television advertisements and theatrical previews is almost always granted by the music publisher in its synchronization license. In the event that a song is used out of context in the commercial (such as a song used in a scene in a film being used over a number of scenes in a trailer), an additional fee is normally negotiated. Many times, a producer will use a song that is not contained in the film as part of its television advertising, preview teaser, or trailer campaign for the motion picture. Though “mechanical” sales have been seriously declining in recent years due to illegal file sharing, piracy, etc., soundtrack album and single physical and download sales should not be discounted as a source of income. The minimum statutory mechanical royalty payable to writers and music publishers is 9.1¢ per composition for the period 2009 through 2012. There is also a durational formula based on 1.75¢ per minute of playing time for compositions 5 minutes or longer. These rates apply to both physical sales and permanent downloads. Under this statutory mechanical rate, a single selling 100,000 physical or download units would be worth a total of $9,100 in combined royalties to the publisher and writer. As for album, CD and download sales, the above royalties, unless agreed to the contrary, would be multiplied by the number of songs on the album. For example, if 10 songs were included on an album and each received a 9.1¢ royalty, a total of 91¢ in mechanical royalties would be generated from the sale of each album. It should be mentioned that the per-song statutory mechanical royalty can be reduced under certain circumstances (for example, if the writer is the recording artist or if the record is sold as a developing artist, midline, record club, television-only, compilation, or budget album) so that the royalty figures can be less than those mentioned above. Such “reduced rates” are voluntary, however, and occur only if the publisher agrees or if the songwriter is a recording artist and has no choice but to accept lower royalties. On October 2, 2008, the Copyright Royalty Board / Copyright Royalty Judges affirmed the provisions of a settlement agreement between the National Music Publishers Association (“NMPA”), the Nashville Songwriters Industry Organization (“NSAI”), the Songwriter’s Guild of America (“SGA”), the Recording Industry Association of America (“RIAA”) and the Digital Media Association (“DIMA”). This settlement provided for a compulsory statutory royalty scheme covering both on-demand streams and limited downloads; two areas of Internet music distribution for which there were no established statutory royalty rates for musical compositions. The adoption covered both a retro-activity aspect and a going forward aspect with the determinative date being January 1, 2008 since pre-2008 activity has one rate and post 2007 activity has another rate. There are also a number of variables involved in the actual calculations for a particular service and offering including the revenue of the applicable service, the costs of content, numbers of subscribers, performance rights license fees paid to ASCAP, BMI and SESAC as well as the aggregate number of plays of all musical compositions during the applicable royalty accounting period. As to the formula itself, the actual royalty is arrived at by taking the greater of (a) the applicable percentage of the service’s revenue (10.5% for post-2007 activity and 8.5% for pre-2008 activity) or (b) the lesser of (i) the service’s record label master recording royalty payments or (ii) a set per subscriber monthly amount (e.g., $.50 in the case of standalone non-portable subscriptions-streaming only services). Once this figure is arrived at, the cost of the royalties paid to performance rights organizations is deducted. The actual royalty pool to be shared by all musical compositions is then calculated as the greater of the above result or the per subscriber minimum for the particular type of service (e.g. $.15 in the case of a standalone non-portable subscriptions-streaming only service). The royalty pool is calculated on a monthly basis and royalties are distributed quarterly to the publishers of the compositions used based on the activity of each composition in relation to the activity of all other payable compositions. 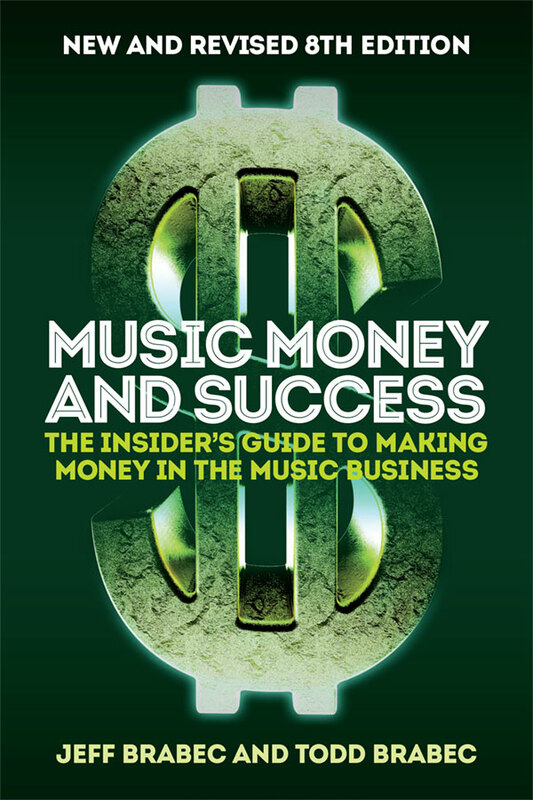 One of the largest sources of royalty income for songwriters, composers and music publishers and one that has held up the best during difficult economic times is the performance right payments from ASCAP, BMI, and SESAC, as well as from affiliated collection societies in foreign countries (i.e., PRS in the U.K., SOCAN in Canada, SACEM in France, APRA in Australia and New Zealand, IMRO in Ireland etc.). ASCAP (The American Society of Composers, Authors and Publishers), BMI (Broadcast Music, Inc.) and SESAC negotiate license fee agreements with the users of music—radio and television stations, cable stations, Websites, concert halls, wired music services, airlines, restaurants, colleges and universities, etc., collect the license fees from each licensed area and distribute the money back to songwriters, composers and music publishers based primarily on surveys of performances in each of the licensed areas. The license agreements give the user (i.e., a television station, a website, etc.) the right to perform the music and lyrics of any member of these organizations without threat of an infringement action for unauthorized performance of compositions. The license fees collected by ASCAP, BMI and SESAC are close to $2 billion a year with ASCAP and BMI both collecting in excess of 900 million dollars each. These freely negotiated licenses are either “blanket”, allowing unlimited use of each organization’s repertory for a negotiated fee, or “per program”, whereby the fee is dependent on the advertising revenues of a specific program which uses music not otherwise licensed directly or at the source. Music users can also go directly to the copyright owner and negotiate “source” or “direct” licenses. In the online world, the three U.S. performing rights organizations have various types of licenses depending on whether the service is providing ringtones and ring backs, interactive performances, or non-interactive performances among other distinctions. In cases where ASCAP or BMI cannot come to an agreement with an online music provider as to what reasonable rates should be or whether rates are due at all for the particular type of activity the service is providing, rate court mechanisms come into place where after a trial, a judge sets the rates and terms of the license. AT&T, AOL, Verizon, Mobi TV, RealNetworks, and Yahoo! are but a few of the entities that have been involved in rate court proceedings. SESAC does not have a rate court option in negotiations nor is it under a consent decree with the government as ASCAP and BMI are. It is important to bear in mind that these three organizations have entirely different writer and publisher contracts, license fee agreements and payment policies, rules and practices resulting in different payments for every type of use. For works used in the audio visual area (free TV, cable, satellite, pay per view, etc. ), payments are based on, among other factors, the type of use (theme, score, feature, promo, logo, ad, public domain work, etc. ), the media of performance, the license fee of the station, network or service, viewership and ratings, time of day, duration of the use, and past history of performances, among other factors. Based upon the separate reciprocal licensing agreements between ASCAP, BMI and SESAC and performing rights societies in all of the primary countries of the world, U.S. songwriters, composers and music publishers are covered for performances of their works in foreign countries with the foreign country society forwarding to a writer’s U.S. performing rights organization any monies collected in that territory. Foreign country writers and publishers are covered similarly via these agreements. Many U.S. publishers collect their monies directly through sub-publishers in the local territory. For U.S. copyright owners as well as songwriters and composers, the countries providing the most income are the U.K. (PRS), Germany (GEMA), Canada (SOCAN), Japan (JASRAC), France (SACEM), Spain (SGAE), Australia / New Zealand (APRA), Italy (SIAE) and the Netherlands (BUMA). A one-time buy-out: Many video distributors demand that publishers accept a one-time buy-out fee for all video rights, regardless of how many videos might be sold—a fact of life in today’s market that must be faced and negotiated accordingly since the only negotiation is the actual amount of the one-time fee being paid. A per video royalty based on sales of the DVD or other audio visual product. Famous Movie Songs, The Best Television Themes Ever, Hits of the 80’s—these are but a few of the many folios released each year. Though not as valuable as it once was, this area can provide a steady stream of good income for some compositions and, for others, a substantial infusion of royalties. For example, successful songs may be distributed in a multitude of arrangements for piano solo, piano duet, guitar, concert band, jazz ensemble, vocal solo, choral arrangement, electronic piano, organ solo, and as part of a “best of” or “songs from a motion picture” series. In addition, sheet music may also be printed in non-music-oriented books such as Merv Griffin’s “Jeopardy Theme,” which appears in Alex Trebek and Peter Barsocchini’s The Jeopardy! Book. “How To Play” and instructional audio visual DVDs and download / availability have also increased income in this area, since there are not only print but mechanical and/or synchronization rights encompassed as well. The use of the melodies of motion picture and television theme songs and scores as ringtones for cell phones is a major source of revenue with license formulas in the United States ranging from 10% to 16.15% of the actual retail selling price to the consumer for the completed transmission, download, upload, or other delivery of the recording (or revenue earned) with either a guarantee that the consumer price on which the royalty percentage is based will not be lower than a certain amount (e.g., 99¢), that the ringtone will sell within a certain price range (e.g., between $1.00 and $3.00) or that a minimum royalty (e.g., 10¢, 12.5¢, 15¢) will be paid to the writer and publisher regardless of the percentage formula calculation. A one-time per song upload fee of from $25 to $50 may be paid. The contract will usually provide that the ringtone use will not exceed 30 to 45 seconds. The territory will be for the United States or the United States and Canada, unless the parties agree to include additional countries. In 2006, the Register of Copyrights issued an opinion that the compulsory licensing provisions of the U.S. Copyright Law apply to most ringtones and mastertones, and that record companies or other firms are allowed to use statutory mechanical licensing procedures and rates to license musical compositions for use in these areas. In 2009, the Copyright Royalty Board established a total 24¢ writer/publisher statutory royalty rate for mastertone ringtones which rate has been appealed. As you can see, there is an unlimited world of opportunities for exploitation of copyrights. Awareness of these opportunities, (whether digital or traditional), knowledge of each of the fields and the ability to license quickly and appropriately are the keys to success.